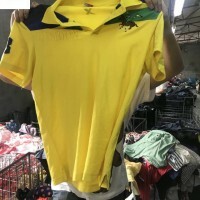 1.Our used clothes are sorted into high quality first grade and more than 60 different items such as ladies silk dress, men shirt, chidlren summer wear,etc. 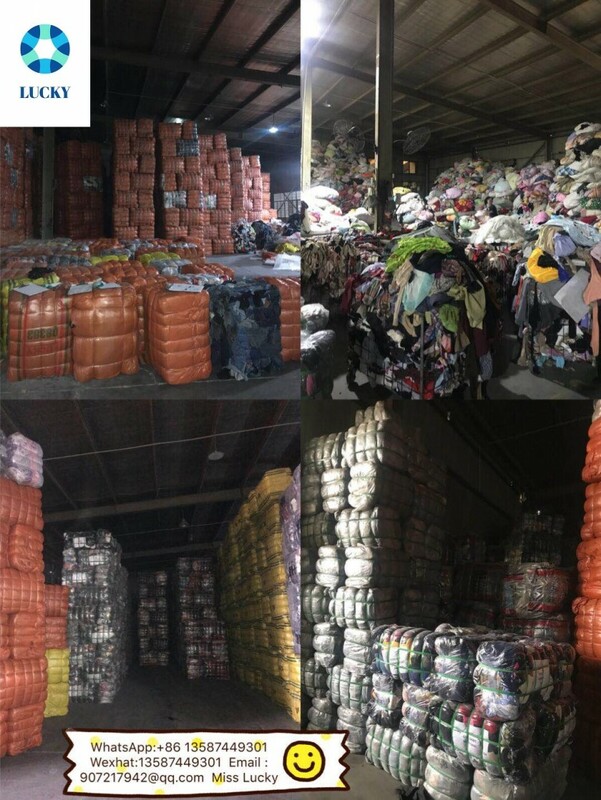 2.All used clothes are packed in 45kg,80kg,95kg,100kg bales. Or according to customers requirements.And we can use customers' appointed color cover and print the logo also. 3. All items that are ripped, torn, have holes in them, worn out or dirty are all removed before the bales are made up. 4. 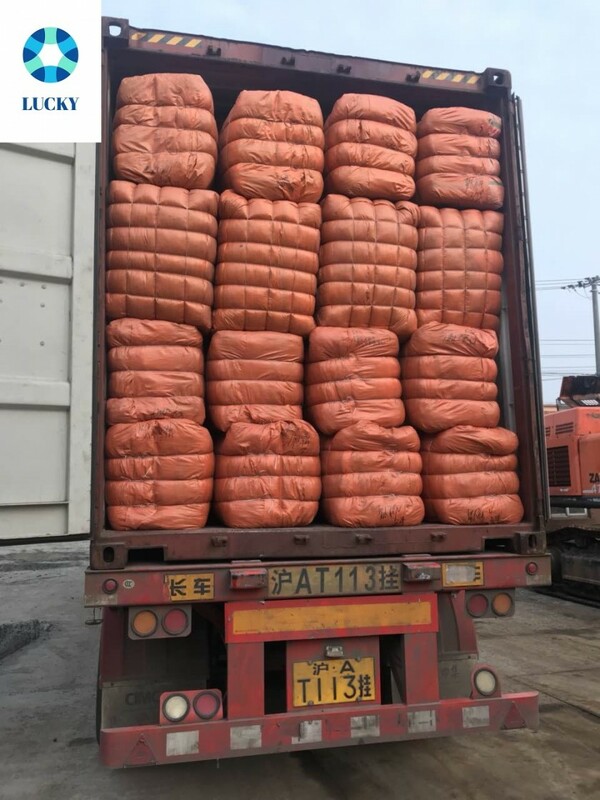 We do not supply bales of individual lines. 5. 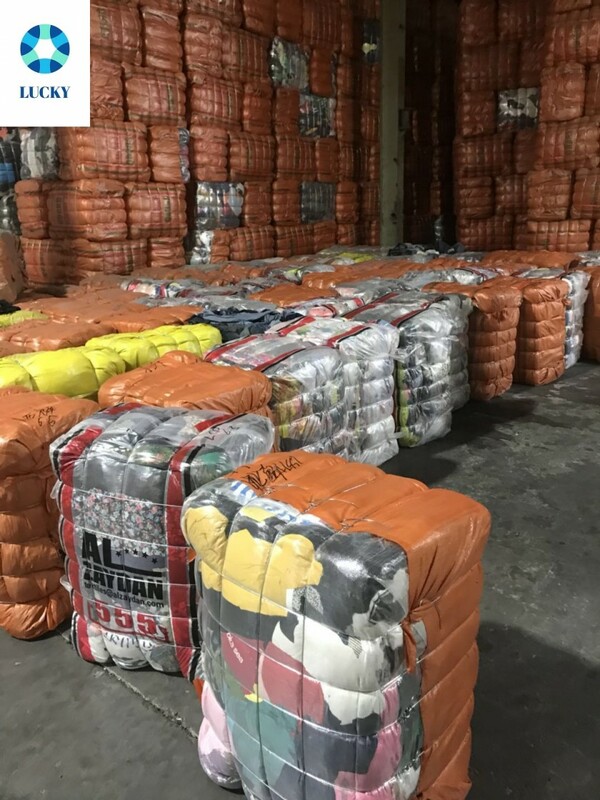 Customers are warmly welcomed to visit our warehouse at any time you want,and supervise the whole process,sorting,cleaning,packaging and loading. 6. 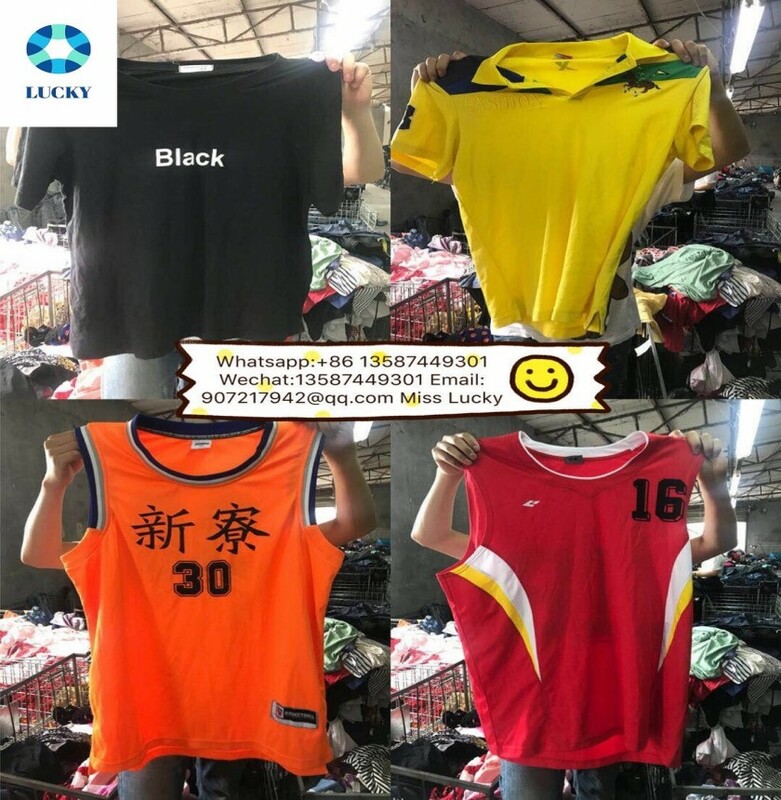 We usually give a uniform price according to customers' packing list for all the items. 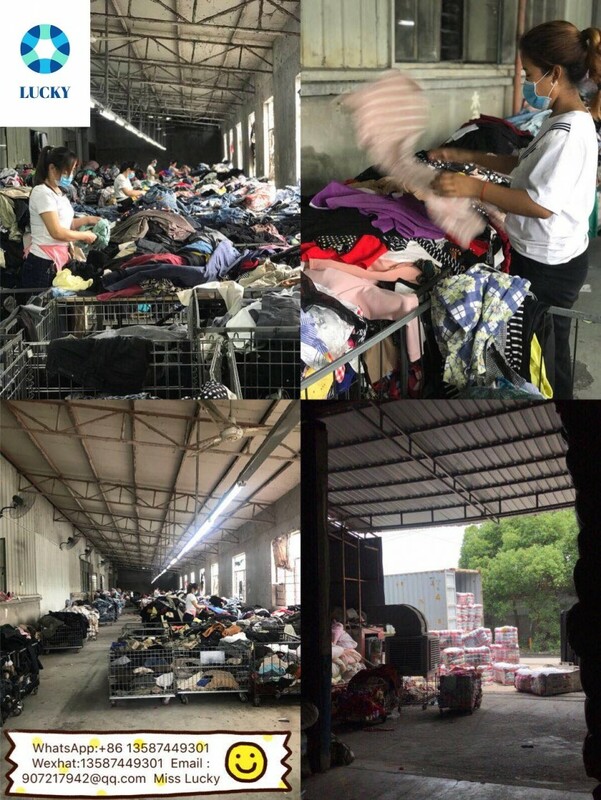 We have been in used clothes,shoes and bags collection business for more than 10 yeas and in export these things to overseas more than 6 years. 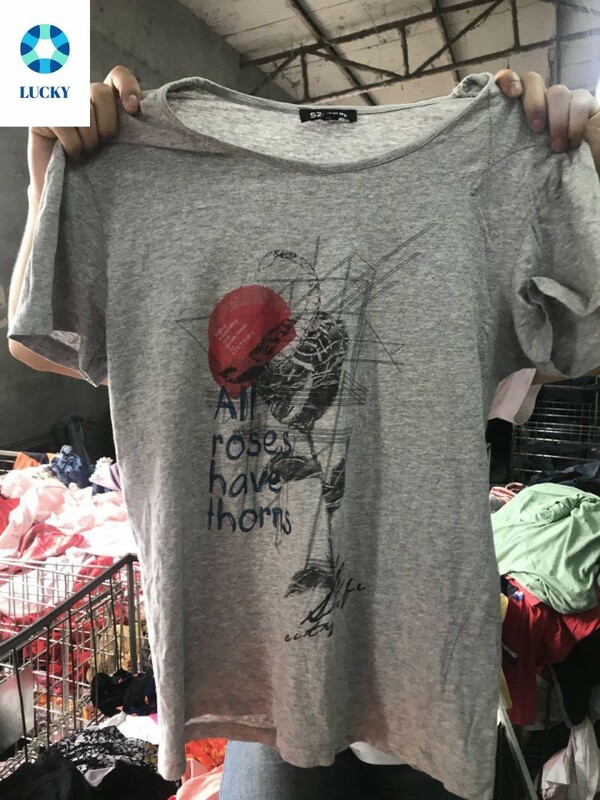 We are located in the beautiful city HUZHOU where the warm climate ensures that we have true, used summer wear available for our customers from hot regions. 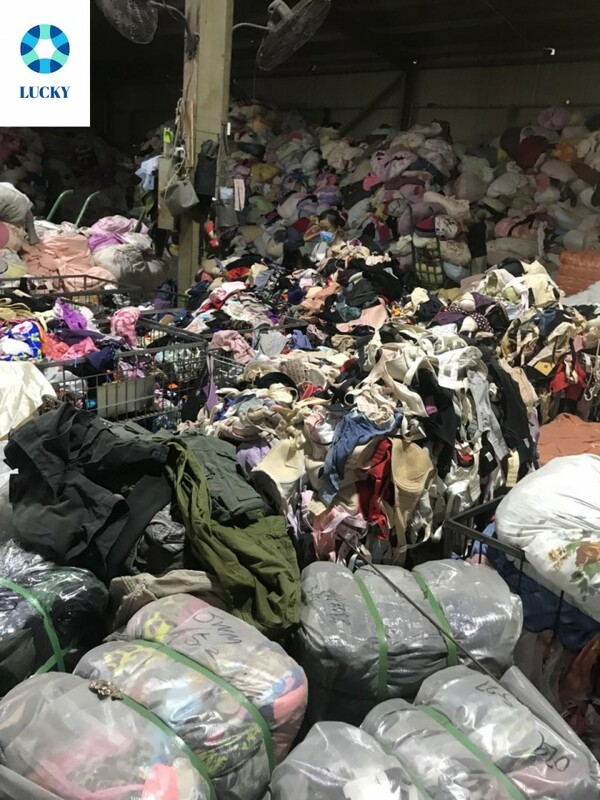 Two big warehouseS for used clothing SUMMER ,SHOES and one warehouse for used clothing WINTER and BAGS we can load many containers every month. A lot of skilled workers make sure we can always supply high quality used clothing. 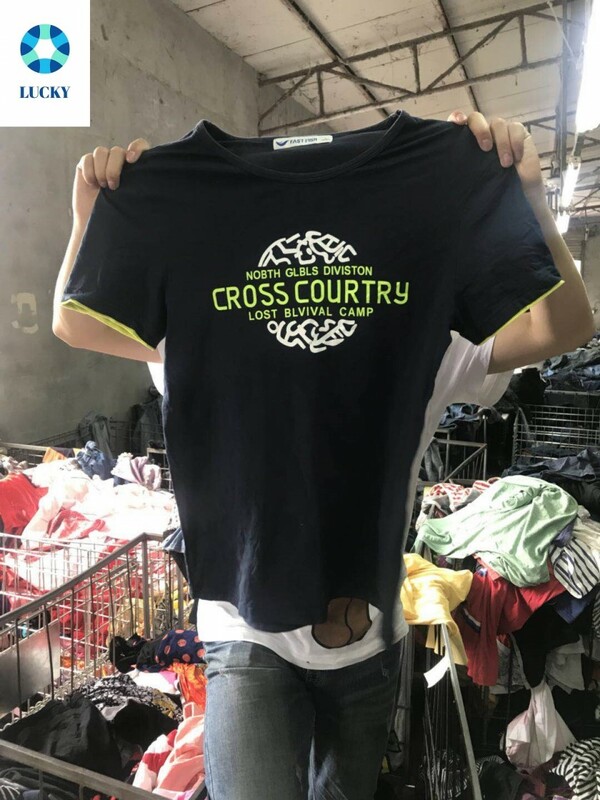 Collected from HUZHOU and the surrounding districts we are able to offer you good quality used clothing, shoes and bags. 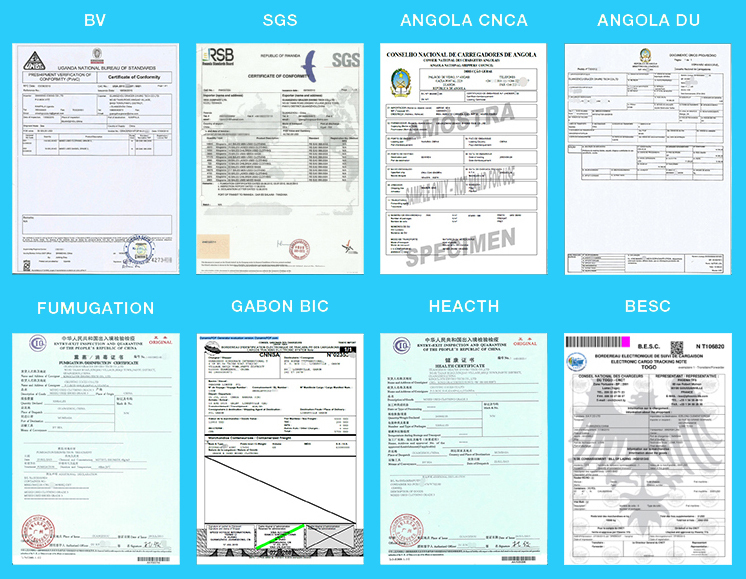 Our main market is african countries such as Benin,Ghana, Liberia, Sierra leone,etc. 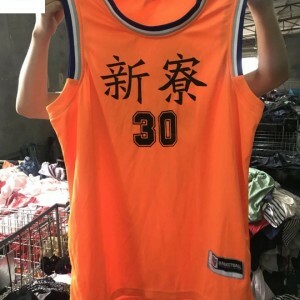 Q: How is the quality ? A:1.zhejiang province ,jiangsu province,shanghai city . Q:How to make high quality? 2.the first line worker sorting ,the secend line worker sorting agian . 3.before pressing bales our quality checker check all pieces. Q:How many days it cost u to produce one 40HQ container? Q:How is the payment term? 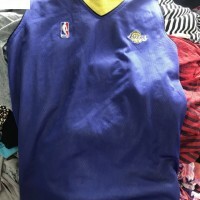 A:We accept payment by bank transfer,western union or cash. 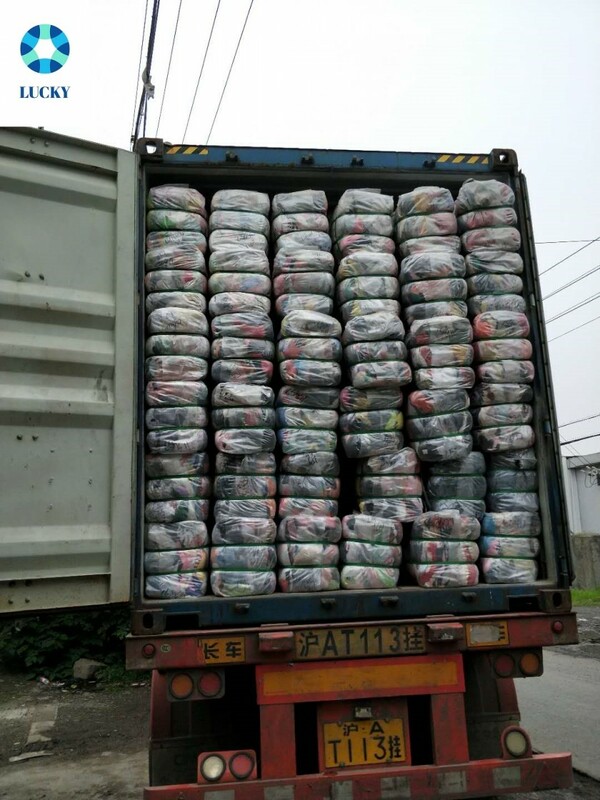 Customer shall pay at least 30% advance money before preparing the goods and balance 70% before shipment . 1. We are very glad that customer give us some suggestion for prrice and product quality. 2. If any question,please let us know it in the first by E-mail or Telephone.We can deal with them for you in time. 3. Any more problems,please fee free to ask,and we will try our best to supply you..
2. 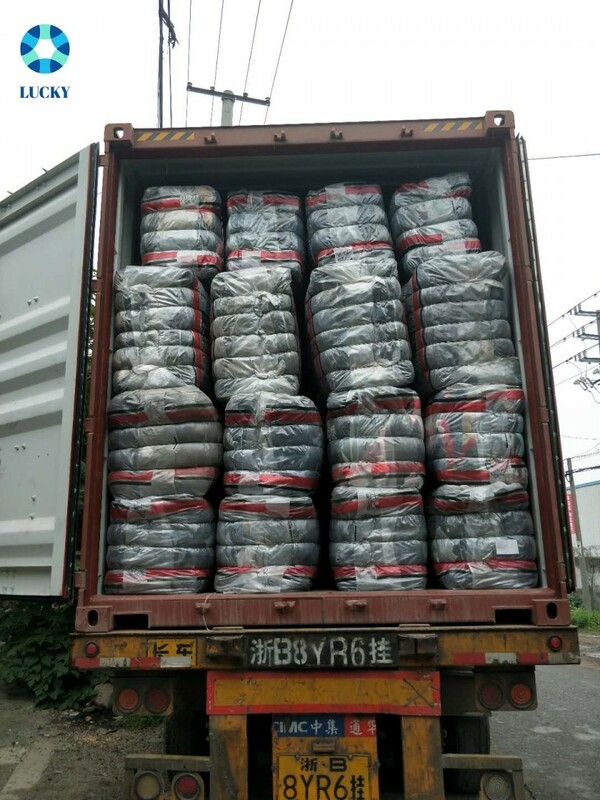 If customer have any scheduling in China,please let me know.